Using the latest national & international labor news, lessons from history of working class people, and interviews with workers, union organizers & grassroots leaders, WRFG’s Labor Forum advances an intersectional analysis of today’s struggles, raises working class consciousness, and promotes a radical, alternative vision for social and economic change. 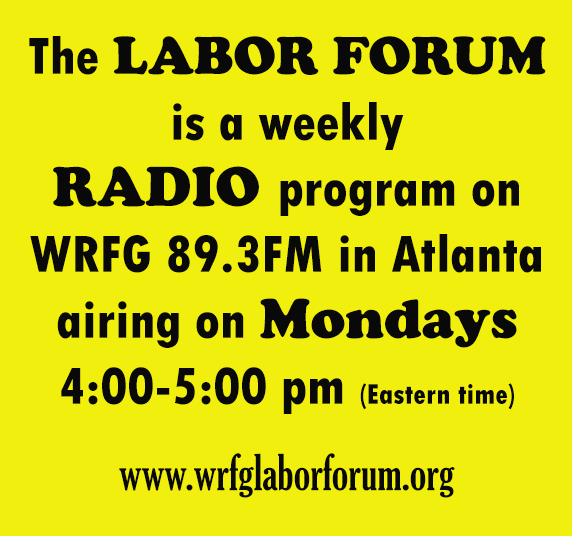 The Labor Forum is a weekly RADIO program on WRFG 89.3FM in Atlanta airing on Mondays 4:00-5:00 pm (Eastern time). Subscribe to the Labor Forum Youtube channel and WATCH our radio programs streamed LIVE online on Mondays. 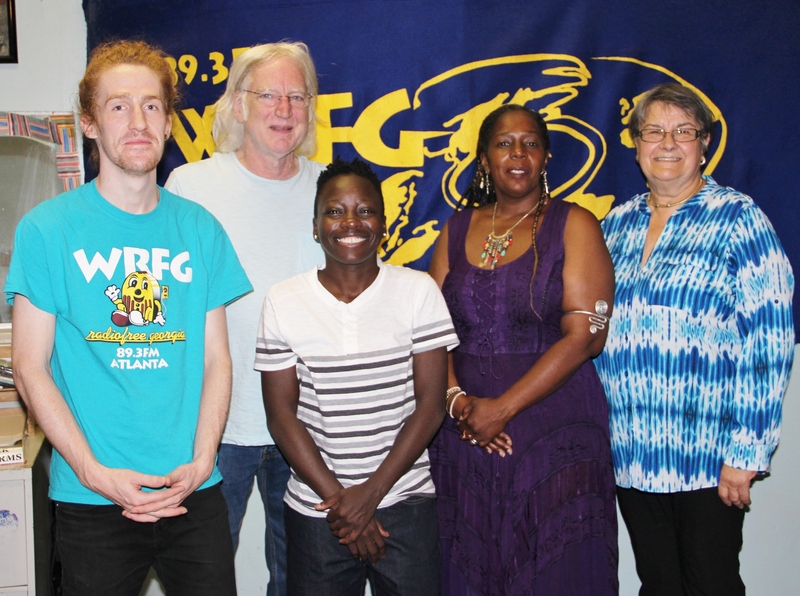 Join our Labor Forum WRFG Facebook, twitter and Instagram page to find out about our weekly programs and our guests. If you have any questions, comments or you would like to be a guest on our show, please email us at laborforumwrfg@gmail.com.